Are you friends or children are having weak sun? here is why they need to worship Sun. here is the importance of worshiping sun. For everyone Sun is very important. It is necessary to worship sun. If such line cuts on sun line then your sun is weak. If Sun’s finger is downward towards Saturn’s finger then also sun is weak. If Sun is weak then you cannot get high prestige and position. If you get then you also get blame. You cannot get father’s love, self-confidence, position, prestige, education and so on. 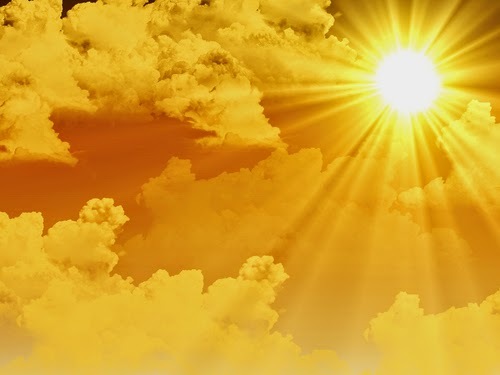 If you do worship of sun you get vitamin D. Sun has all the power. It is center of energy. By worshiping it we get prestige, position, education, self-confidence, muscles, bones and so on. You have to wake up during sunrise. After taking bath you have to seat facing east side. You have to keep water in copper or soil urn. You can also keep water in wooden urn to get rid of skin problem. You have to add akshat (rice), roli, jaggery and red flower. You have to offer water slowly to the sun. Do not get the drops on yourself. You have to chant “Om Dhruni Suraya Namah”. You can also do Gayatri mantra. Make copper sun and offer jaggery and wheat. You have to dainty it and also eat it. You get benefit by doing “Om Dhruni Suraya Namah”. You can also keep copper’s sun outside of the home. You can also get benefit by keeping water in the copper urn and doing Gayatri mantra while worshiping sun. You can do Adityahriday Strot for 3 times. Remedy: If you are facing getting admission in your favorite subject then you have to offer rosary of Supari to lord Ganesh and work hard for education.